Today ONLY this HP - ENVY 7643 Wireless All-In-One Instant Ink Ready Printer is $49.99 (Retail $199.99). Print high-quality photos and documents with this HP Envy all-in-one printer. The separate photo tray lets you switch between photo and document printing, and the high-yield ink cartridges produce lab-quality photo prints. 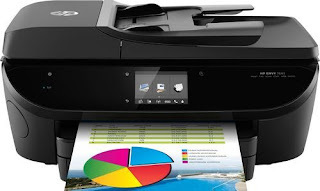 The mobile printing features of this HP Envy all-in-one printer let you print from your smartphone or tablet.